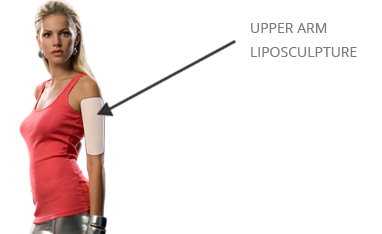 One of the most common areas of complaint, even in the normal weight female, is the upper arm region. 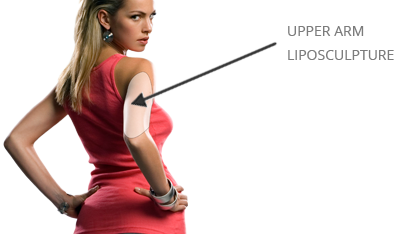 Women tend to accumulate fat in the upper arm region that can sometimes appear significantly disproportionate with the rest of their physique. Common social situations in which the female upper arms are exposed include formal dinners, dances, weddings, and of course - the beach. Although vigorous exercise can strengthen the underlying arm muscles, it will not actually remove upper arm fat. In Dr. Hayduke’s practice, most women do not actually want arms that appear muscular or masculine. When such a physique exists – even in Hollywood celebrities – it seems somewhat strange and unnatural. Dr. Hayduke feels that it is important to maintain a gentle feminine contour of the upper arms. He feels that a reasonable goal is for the patient to feel less self-conscious about her arm appearance when wearing formal dresses or swimwear after the procedure. In social situations, women are usually seen with their arms relaxed at their sides (rather then held out in a spread eagle fashion). 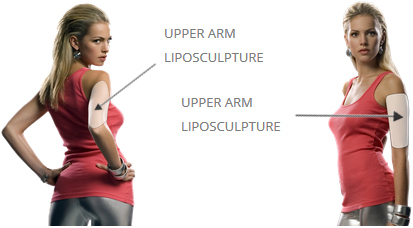 Properly performed liposculpture should maximize its improvement to this common relaxed arm position. If you feel self conscious about the appearance of your upper arms when wearing formal dresses or swimwear, then you may be a candidate for upper arm liposculpture. Young patients with elastic skin are the best candidates (of course), however, even some older overweight patients appreciate the improvement that can be achieved with direct fat removal. Poor candidates are patients who have rapidly lost significant weight (such as 80 pounds or more) – since they generally have developed significant sagging skin. Liposculpture can not remove excess sagging skin. In this situation, a brachioplasty is the procedure of choice. Clients who are older with very poor skin elasticity are also generally poor candidates for liposculpture. If a brachioplasty is more appropriate for you, then Dr. Hayduke can recommend and perform a brachioplasty. That is one of the advantages of seeking a consultation with a true plastic surgeon. Dr. Hayduke prefers to perform liposculpture under local anesthesia in the office setting. Absorbent pads are placed over the treated areas and a moderate compression garment is applied. The pads will need to be changed twice per day for the first two days. Stiff compression garments are not necessary. The moderate compression garment is worn for one week. Compared with other body areas, the arms tend to swell less and cosmetic contour improvement occurs much sooner.